Jimmy Stewart spent the summer learnin’ how to shoot. It’s been a good summer for watching films, but not one for writing about them. And with each mini-essay I wrote in my head in concert with the film on the TV, the pressure to turn those scraps of thought into a coherent product built. So, instead, here’s a roll call of some of the movies I experienced for the first time over the last eight weeks, with a line or two of how they struck me. The Man Who Shot Liberty Valance (1962) dir. by John Ford. What happened to the John Ford who so faithfully sought out to faithfully recreate the rituals of the Army cavalry in the Old West? Liberty Valance is so stage-bound that it looks like TV western. John Wayne and Jimmy Stewart are far too old for their parts. The dramatic reveal is obvious from the title of the movie. So why does it work? Ford had increasingly been boiling down his work so it that it worked most predominantly on the thematic level, often in highly idealized settings. The Ireland in The Quiet Man (1952) is more like a dream that Irish-Americans have of the auld country than reality. The Searchers (1956) seems to be almost a parable about hate and revenge. 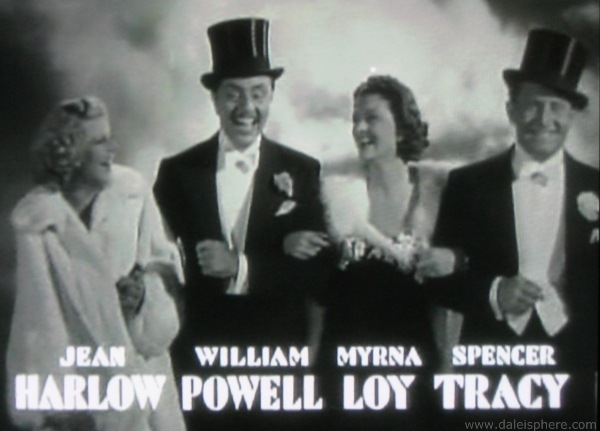 For me, the movie came alive in two late scenes: one in which Wayne’s character, Tom Doniphon, burns down the house he was constructing for his life with Hallie (Vera Miles) and the subsequent scene at the state nominating convention that codifies the movie’s themes about the triumph of the civil society over the lawlessness of the Old West. 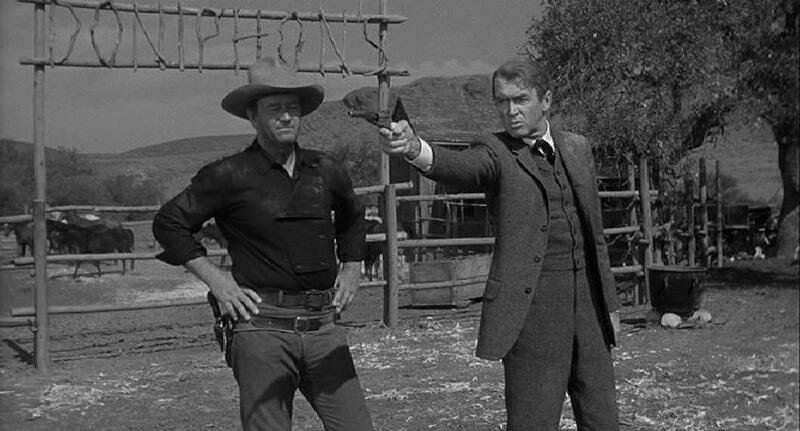 By the way, an early “Mad Men” episode contains a Liberty Valance spoiler, so watch carefully. This was the summer I began, really for the first time, to explore the classic Hollywood studio films of the mid-1930s–and wasn’t disappointed. I preferred Libeled Lady to Twentieth Century, despite its Hawks pedigree and my growing affection for Carole Lombard. Libeled has a newspaper plot, so it can’t go wrong, and I enjoyed the stars strutting across the screen at the outset, telling the audience that, yes, you are going to be entertained so relax and enjoy it. We’ve got it. Speaking of entertainment, this was my first Errol Flynn film ever. And I’d gladly watch it again right now. Epic-scale sea battles, political intrigue, a dashing and roguish hero–from the director of Casablanca. 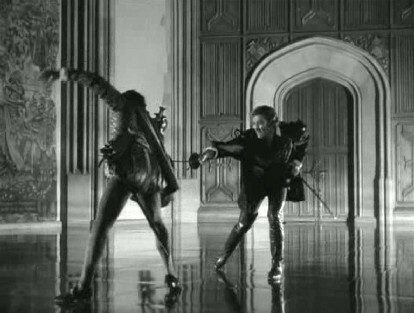 Can we remake it right now with Russell Crowe and Cate Blanchett as Elizabeth? This was the summer that I began, finally, to understand the appeal of Clark Gable. As someone who had avoided Gone With the Wind for years, Gable to me had always been a sort of cardboard cutout, the standard-issue leading man. But I really had never given him a chance. 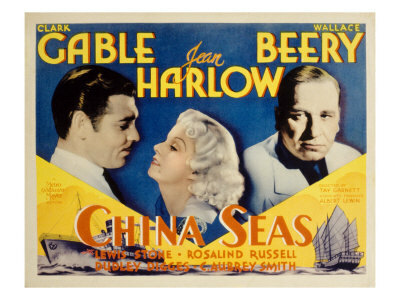 China Seas was probably the most fun of the three, an old-style MGM romp featuring intrigue, romance and danger on the high seas. (Or at least on a pretty well-dressed set.) And Jean Harlow, well, looks pretty damn good in her silken evening clothes. Harlow (for whom the Production Code was basically designed for, among other things, her bias against underwear) apparently threw off sparks with Gable in Red Dust (1932), which Ford remade as Mogambo. (Red Dust isn’t on Netflix.) 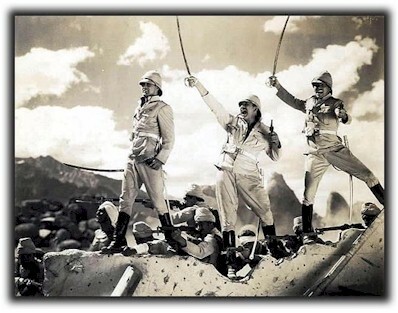 Mogambo felt a bit staid, despite the presence of Ava Gardner and Grace Kelly. Dozen is shoehorned in here. It’s not POW movie, but it was part of a string of war films I screened (including Inglourious Basterds, which deserves a much more thoughtful treatment at some point). Grand Illusion (obviously the more celebrated film) and Escape share a context however, one in which officers on both sides of the conflict comport themselves with respect and dignity. Characters in both films, I believe, say something to the effect of “It’s the duty of every officer to attempt to escape.” Much tunnel-building then commences. 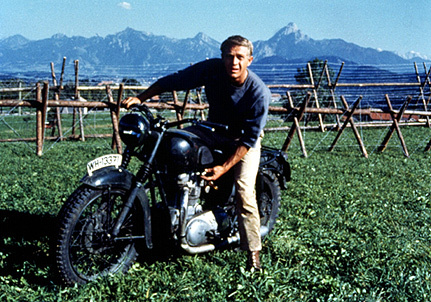 Dirty Dozen is, in a way, its own study of classes within the military. Lee Marvin playing, well, Lee Marvin, recruits the dregs of the Army from a military prison for a suicide mission behind enemy lines. It just so happens the target is a castle-house filled with the German elite. Inglourious Basterds, too, echoes this sort of class warfare. 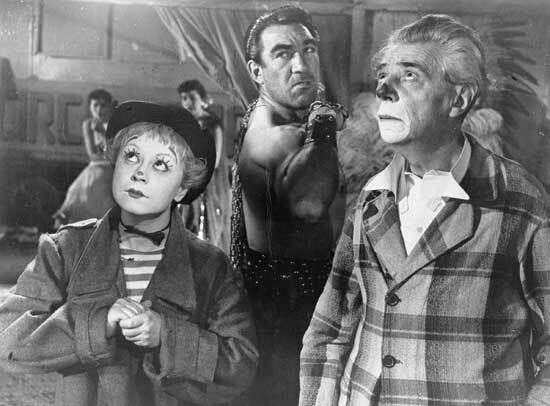 The Nazis, as personified by Col. Landa, are portrayed as preening sophisticates, not too different from Erich von Stroheim in Grand Illusion. His adversaries, the Basterds, are led by a hillbilly, Aldo Raine, (with Brad Pitt looking to me all the world like Clark Gable–see how it all fits together? It’s a tapestry.) And Shoshanna is a farmgirl, etc. Anyway. More on this film later. Speaking of Quentin, if you were to dissect the passage in Pulp Fiction involving only the plotline involving Butchie the boxer, sans Al Green and Ving Rhames and all that, you would largely end up with The Set-Up, a nifty (and speedy) little film noir from the late 40s. I don’t know if QT has ever copped to swiping this, but given his encylopadic knowledge of film history, I don’t doubt that he knew of it. Robert Ryan is an over-the-hill boxer who believes that he’s still “one punch away” from fame. 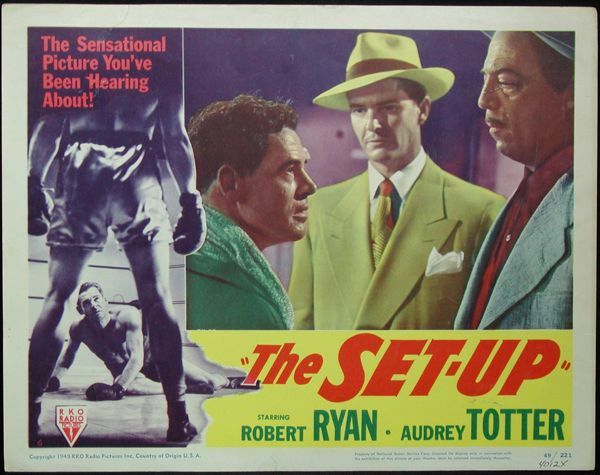 The best parts of the movie are set in the locker room of a dilapidated arena in a town that looks very much like Atlantic City, where Ryan’s aging pugilist (I just wanted to write that) is shown to be part of a spectrum of fighters that includes the up-and-comers and the down-and-outers. And in this film when you are down, you are down. More classic Hollywood, most notable, to me at least, for having Cary Grant in a two-fisted action role, the kind of thing he didn’t do very often. This is a delirious sort of adventure movie, not too different in tone from The Sea Hawk, set in a universe where quips give way to bayonet combat and back again. Cinematography is top-notch, particularly in an early action scene in a deserted Indian town–felt like something that may have influenced other directors. If you were to watch Bringing Up Baby, Gunga Din, Only Angels Have Wings, His Girl Friday and The Philadelphia Story (all from 1939-1940) in sequence, you’d see an actor in Grant having a hell of a time and letting the audience have a hell of time with him. 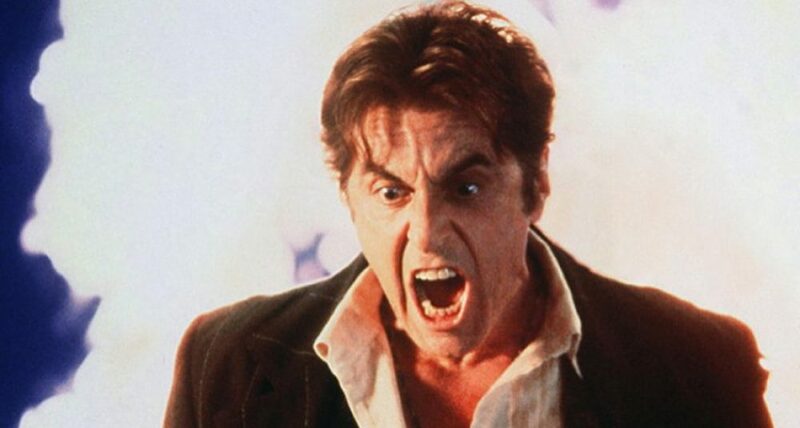 Can any actor today accomplish that with such verve, style and enthusiasm? It’s possible my childhood dislike of sad clown paintings had something to do with my reaction this film. I’ll be honest. This cinematic classic from Fellini was tough sledding at times, but it was intended to be. Fellini and his fellow neo-realists at the time were determined to force viewers to confront how life was lived among the lower classes. An uncompromising and extremely compassionate work. It did serve to re-ignite my interest in Italian cinema from the 50s and 60s, so more coming soon. 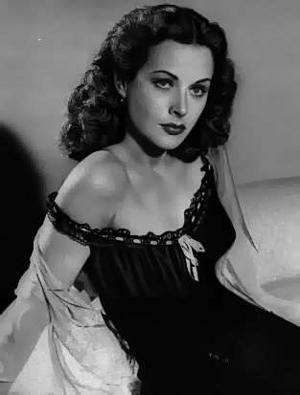 If I didn’t know better, I’d swear this is Hedy Lamarr. President Obama made an infrequent trip to church today and perhaps I should do the same, as I was likely one of the few who watched this film who didn’t realize that its a modern retelling of the Book of Job. I believe the Coen brothers are cinematic geniuses, but it doesn’t mean they’re perfect. They’re far from it. And some of their films connect with me while others leave me cold. What they all have in common, for better or worse, is that they keep a distance between you and their characters. In truth, I felt no more sympathy for Larry Gopnik than I did for Jerry Lundegaard. And you always feel a pull of directorial string, manipulating the events, so that the end of, say, No Country for Old Men felt anything but random. I appreciate a film that wants to ask the tough questions, but it’s hard to get worked up when the answer is, “Who cares?” That makes it farce, and I’ve never been a big fan. Don’t love Burton. Don’t love Lewis Carroll, either, for that matter. So this should have been a non-starter. But this is what happens when you watch a film with your daughter. Sometimes you see it through her eyes and your perception changes. All Burton movies treat me the same way: Visuals astounding (but always rather similar), the plot is a huh?, there’s Johnny Depp, etc. etc. But Burton’s controversial choice to depart from the book and turn the movie into the adventures of a grown-up Alice actually saved the material from turning into Harriet Potter. This image has been certified as 100-percent Depp-free. By standing up both to Victorian convention and fire-breathing Jabberwockys, this Alice (terrifically played by Mia Wasikowska, a name to watch and who comes off as a young Gwyneth Paltrow, but, you know, nicer), owns her actions in a way a child cannot and by doing so, gave my daughter a brave and fierce role model that was absent from, say, Barbie and the Three Musketeers. This entry was posted in From the Queue, My DVD Shelf by James Oliphant. Bookmark the permalink.